3.1 Copyright (c)  [IKS Locksmiths]. 7.1 In these terms and conditions, “your content” means [all works and materials (including without limitation text, graphics, images, audio material, video material, audio-visual material, scripts, software and files) that you submit to us or our website for storage or publication on, processing by, or transmission via, our website]. 7.2 You grant to us a [worldwide, irrevocable, non-exclusive, royalty-free licence] to [use, reproduce, store, adapt, publish, translate and distribute your content in any existing or future media] OR [reproduce, store and publish your content on and in relation to this website and any successor website] OR [reproduce, store and, with your specific consent, publish your content on and in relation to this website]. 7.3 You grant to us the right to sub-license the rights licensed under Section 9.2. 7.4 You grant to us the right to bring an action for infringement of the rights licensed under Section 7.2. 7.6 You may edit your content to the extent permitted using the editing functionality made available on our website. 8.1 You warrant and represent that your content will comply with these terms and conditions. 8.2 Your content must not be illegal or unlawful, must not infringe any person’s legal rights, and must not be capable of giving rise to legal action against any person (in each case in any jurisdiction and under any applicable law). 11.2 Where we suspend or prohibit or block your access to our website or a part of our website, you must not take any action to circumvent such suspension or prohibition or blocking[ (including without limitation [creating and/or using a different account])]. 15.2 The exercise of the parties’ rights under a contract under these terms and conditions is not subject to the consent of any third party. 16.1 Subject to Section 10.1, these terms and conditions[, together with [our privacy and cookies policy],] shall constitute the entire agreement between you and us in relation to your use of our website and shall supersede all previous agreements between you and us in relation to your use of our website. 17.1 These terms and conditions shall be governed by and construed in accordance with [English law]. 17.2 Any disputes relating to these terms and conditions shall be subject to the [exclusive] OR [non-exclusive] jurisdiction of the courts of [England]. 18.3 We are registered as [IKS Locksmiths Ltd] with [Companies House] in [the United Kingdom] and are subject to [rules], which can be found at [https://www.gov.uk/government/organisations/companies-house]. 18.5 Our VAT number is . 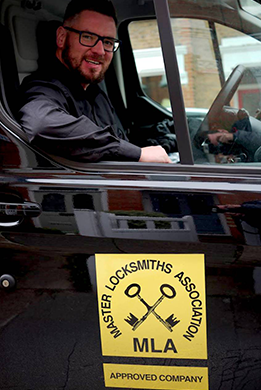 19.1 This website is owned and operated by [IKS Locksmiths Ltd]. 19.2 We are registered in [England and Wales] under registration number , and our registered office is at [149 / 151 SPARROWS HERNE, BUSHEY HEATH, WATFORD, HERTS, WD23 1AQ]. 19.3 Our principal place of business is at [50 The Drive, High Barnet, EN5 4JQ].